There is a need to shift towards a more sustainable society, and companies need to take into consideration the ecological, economic and social aspects of their actions. Companies should develop a better understanding of both their negative and positive potential impacts in order to integrate sustainability into their core strategy. Nowadays companies’ performance against their strategic goals is to be measured. Previously, front-runner companies invested in environmental impact assessment and, in particularly, environmental Life Cycle Assessment of products and services. Now, reporting on economic and environmental sustainability is not good enough; a wider and more systematic social dimension is getting more emphasis. 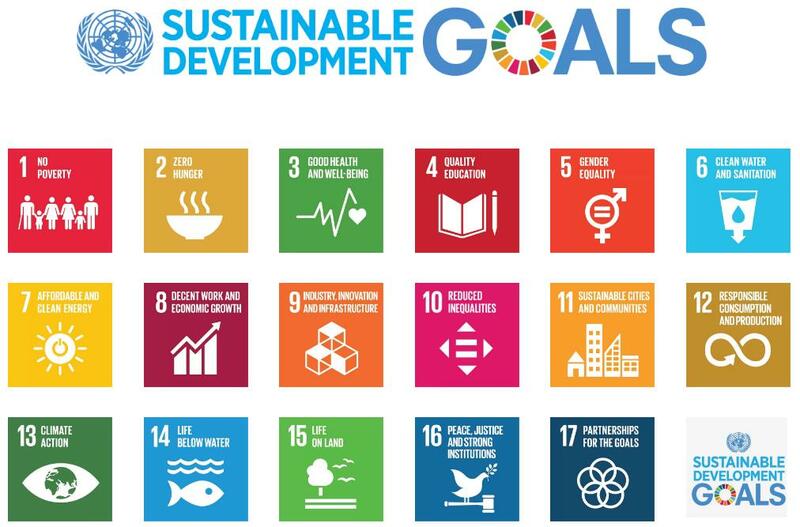 Sustainability Development Goals (SDGs) is a set of seventeen “Global Goals” with 169 targets within them. 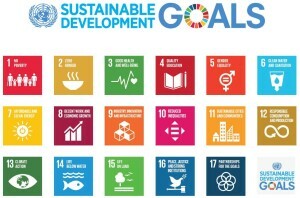 The active participation of business and companies is essential in order to achieve these goals, but there is still a big disconnect between awareness of the SDGs and real corporate action. Companies need applicable systematic tools. Based on Life Cycle Thinking, social LCA is a method to assess the social and socio-economic impacts of all life cycle stages from cradle to grave. Social LCA is defined in the work of UNEP–SETAC as ‘a systematic process using best available science to collect best available data and report about social impacts (positive and negative). Tools for social LCA are under development. The European Prominent Project addresses the question of sustainability by exploring comprehensively the environmental, economic and social issues concerning novel plant based protein production. The goal is to find sustainable ways to valorise plant based side streams to foods and to gain novel plant protein ingredients. From a sustainability perspective, there is a clear need in Western countries to reduce the intake of animal proteins, and more diverse sources of plant proteins are needed. In addition to techno-economic feasibility and the environmental assessment of the new processes, also social impacts (positive and negative) of the different processes will be assessed and the most sustainable ones identified. This shall provide companies the necessary information needed in the decision making process to improve their production chain. In the name of bioeconomy, new production methods seem brilliant utilizing plant-based side streams of current production more efficiently to recover more food out of feed. But why there is a need to assess plant protein chains in detail? How far is it actually possible to process different side streams to still assume that they are sustainable? And what are the social impacts of novel bioeconomy products? It could be argued, that looking at the studies so far published on plant proteins, it seems quite clear that they outperform animal proteins in practically all measured dimensions, climate impact, eutrophying emissions, land use etc… But still, there is also criticism of both environmental and social aspects of plant products, for example in the case of soy (deforestation), avocados (water footprint) and quinoa (social impacts). Consumers are more and more aware and insist on transparency along the long production chains. General assumptions and estimates are not enough, but more detailed information is needed: Preferably numbers, which Life Cycle Assessment is capable of producing. In Figure 3 examples of published carbon footprints of protein ingredients and selected food products are shown per kilogram of protein. The difference is clear between plant and animal based proteins. The only exception of plant protein ingredients are soy proteins, if they have induced deforestation for example in Brazil. Further in the Prominent project a more comprehensive management Social LCA tool is developed for companies e.g. to create a framework for impact evaluation and also to indicate the connection to relevant SDGs, those including social dimension. Integrating impact measurement against SDGs with industry relevant social indicators is a way to reveal the most important social factors. Thus, it will make the framework usable for companies when addressing and utilizing social sustainability issues in the business and production processes and their connection to global sustainability goals. Investigation of social aspects allows detecting potential social risks, but can also reveal positive social impacts “hidden” in a product supply chains. The framework reveals the benefits of utilizing social indicator results in companies’ business management as a tool for companies’ internal development but also for external communication and marketing. Social LCA utilizes generic and/or site-specific data which can be quantitative, semi-quantitative or qualitative, and assesses indicators linked to impact categories which are related to five main stakeholder groups: worker, consumer, local community, society, and value chain actors. The social issues vary depending on the country and sector. Depending on the inputs of the production procecesses the social impacts and possible social risks are different. For example agricultural production in Europe has different social risks than agriculture in South East Asia. The assessed indicators utilized in Social LCA allow companies to verify their actions and present state in achieving Sustainable Development Goals. The challenge in general lies in the availability of relevant data on social issues. Databanks have been developed but there is still a need to gather more specific data. Companies can contribute to this by gathering data from their sub-contractors and raw material producers, and working together for improvements, in particularly when ethical standards are not fulfilled. Text by Hannele Pulkkinen and Anu Reinikainen, Luke – Natural Resources Institute Finland. The project (2015-2018) has received funding from the Bio-Based Industries Joint Undertaking within the European Union’s Horizon 2020 research and innovation programme.